The Pawtuxet Village craft cocktail bar is co-owned by John Richard, of the Avery, and first-time bar owner Doug Palmieri. PTX Lounge in Pawtuxet Village. It takes a village to open a bar, and it turns out Pawtuxet Village is the perfect place for it. PTX Lounge craft cocktail bar is co-owned by John Richard, of the Avery, and first-time bar owner Doug Palmieri, who is also a radio co-host on Coast 93.3. 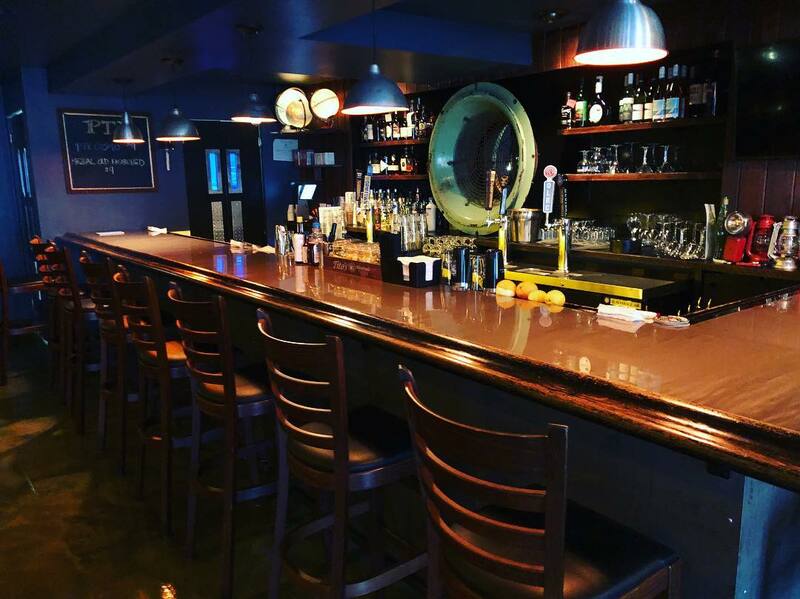 PTX Lounge – an abbreviation of Pawtuxet like PVD is to Providence – opened inside the former Jacky Boy and Powers Pub space. Richard and Palmieri first met at Lupo’s and Jerky’s, when Palmieri was doing radio part-time and bartending at night. “Doug got me my first bartending gig at Jerky’s and Babyhead, and we worked together at Lupo’s,” Richard says. They talked about opening a bar together nearly two decades ago, but it never came to fruition. But it’s never too late to start a new project. The spot was cleaned out and then redesigned by Kyla Coburn, who took its proximity to the water as inspiration. PTX Lounge has an underwater atmosphere, like you’re submerged in a submarine or on a ship in the middle of the ocean. 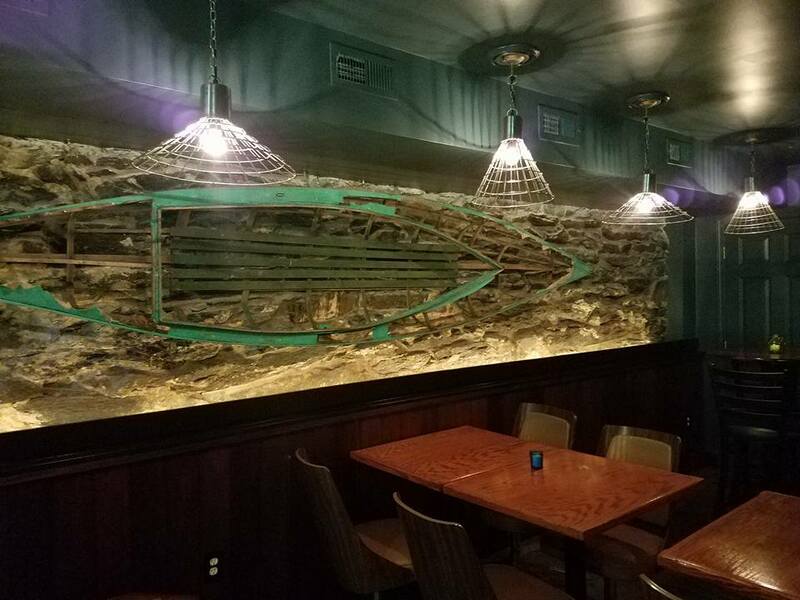 A deconstructed kayak on the left wall looks like an aesthetically pleasing shipwreck, while a giant round part of a ship serves as a conversation piece behind the bar. The design at PTX Lounge. There’s a lot of vintage nautical art on the dark, wood-paneled walls, including salty fishermen, ship models and seagulls. 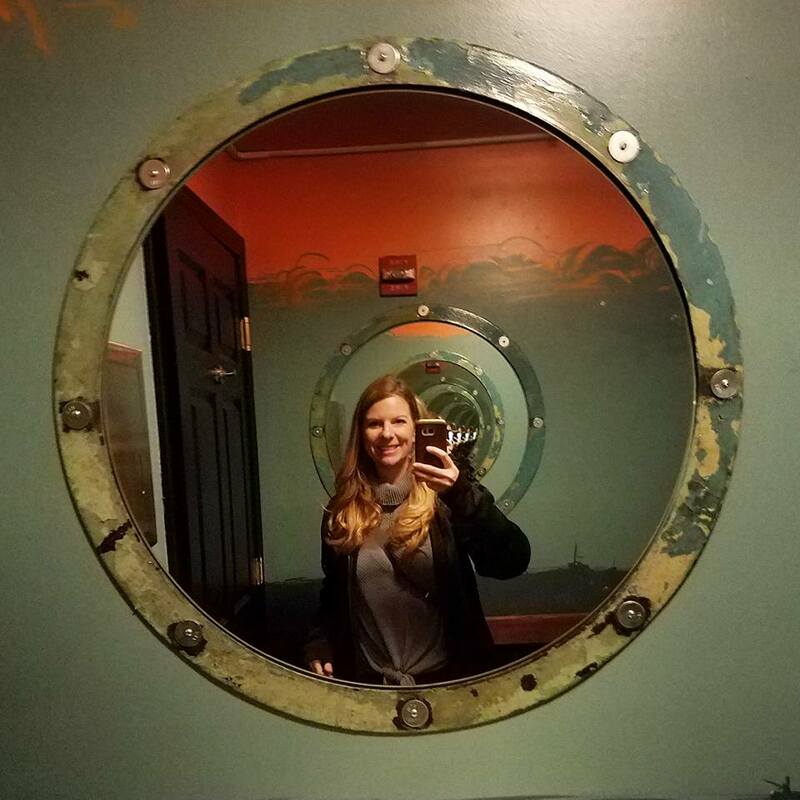 A porthole infinity mirror hangs in the bathroom, which makes for fun Instagramming. But the best part is the hand-painted constellations mural on the ceiling, which may or may not help guide you back home after a long evening spent by the bar. The interior of PTX Lounge. The drink menu includes a few house specialties like the PTX Cosmo, made with fresh grapefruit juice, as well as classic cocktails and six draft beers, including Revival, Wormtown and Founders among others. There’s also an assortment of sipping rums, which plays along with the nautical theme. 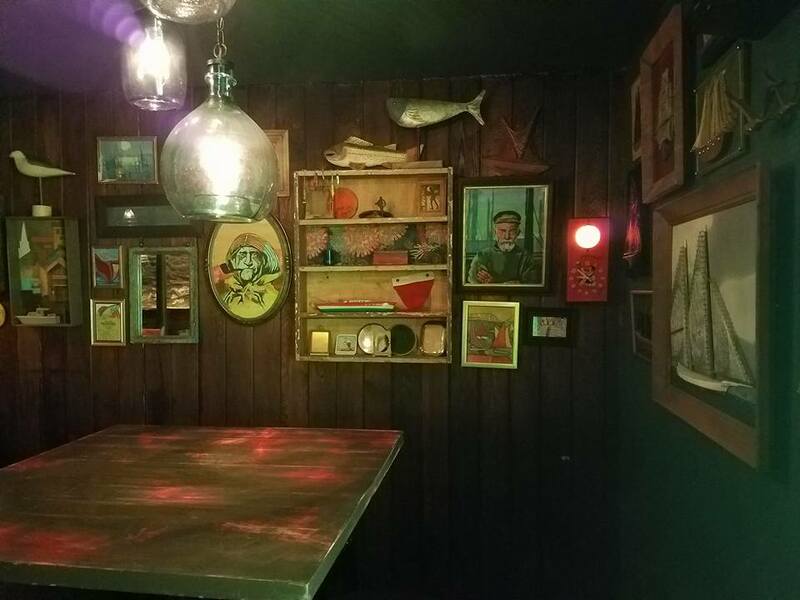 The bar doesn’t have a kitchen or refrigeration, so they are offering small snacks like Spanish and Portuguese tinned fish, including pickled mussels and calamari. The goal is to offer charcuterie from Gastros and Newport Jerky as options soon, too. The porthole infinity mirror at PTX Lounge.